Liu smiled. Although she knew Bai Qi only existed in the virtual world, and there was no snow in Beijing, her heart still skipped a beat. “It [the game] always gives me a feeling of sweet love,” Liu told ChinaReport, explaining that it has become part of her daily life. 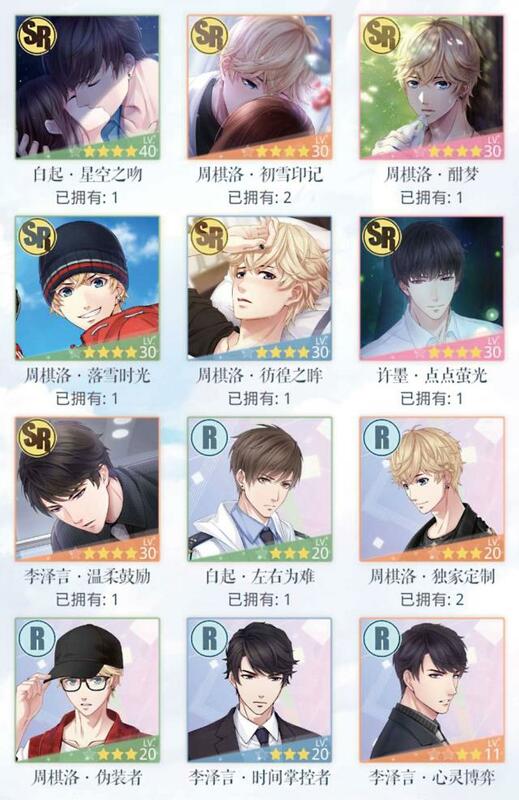 Liu is one of thousands of female gamers to have become enthralled by Love and Producer, a Chinese mobile game launched on December 20, 2017, which allows players to be in love with four virtual beaus at the same time. Its characters and creative design have propelled it to the top of the games charts, exceeding Tencent’s battle arena game Honour of Kings and rising to second place in Apple Inc’s App Store free-of-charge game ranking within two weeks of its debut. Meanwhile, as the discussions, the activities and various kinds of fan art related to the game have flooded Chinese microblogs, chat apps like WeChat and bulletin boards, the Japanese term “otome” – which literally means “maiden” in Japanese, but has also come to mean a genre of online games that target women – has become popular. Game designers and industrial analysts have taken note, and those who identify as “otome” – a noticeably large population in China – are prompting the games industry, which has been male-dominated until now, to head in a new direction. 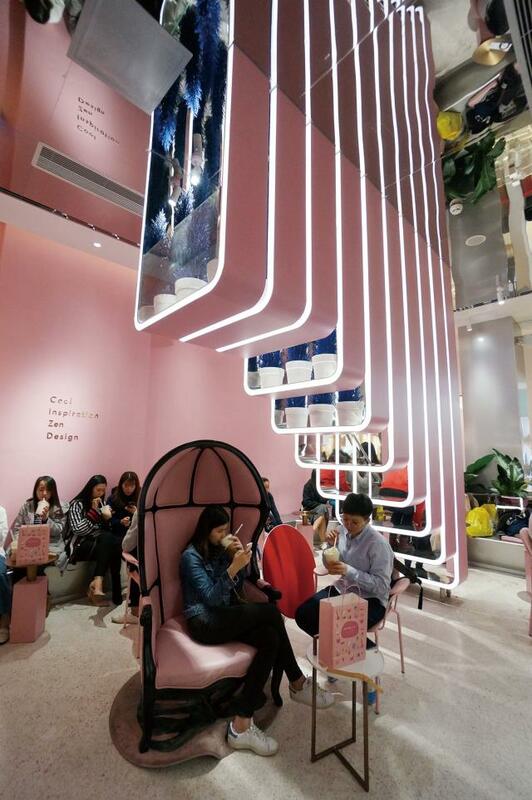 Chinese businesses have not ignored this group, having realised that compared to men, they are generally more willing to buy whatever they like and are more loyal to a brand. More and more products, both materially and aesthetically, are designed with otome consumers in mind. 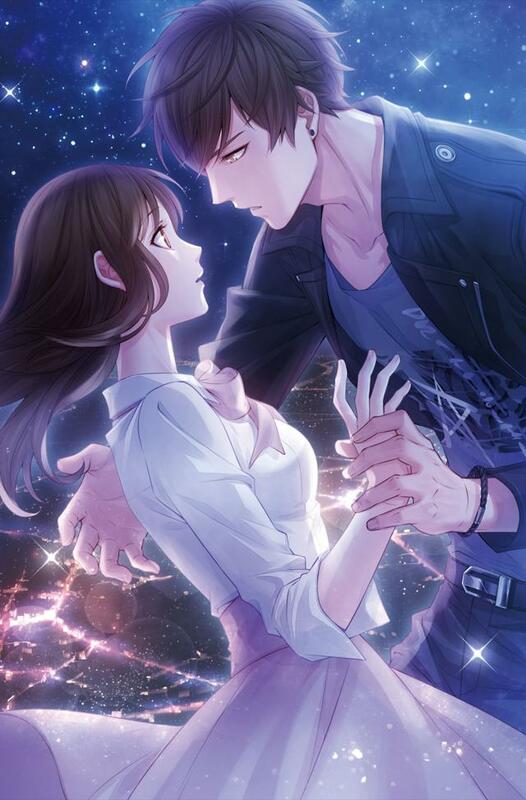 However, few game designers in China had tried to inject otome features into their products – these characteristics seemed contrary to the traditional nature of popular games which were competitive in nature. That was until PapeGames launched Love and Producer. Founded in 2013 and headquartered in Suzhou, Jiangsu Province, the female-centric firm aimed squarely at the women’s gaming market. It first came to prominence after launching Miracle Nikki, a game which allows players to dress up a virtual girl in different costumes, just like playing with a virtual Barbie doll. Released in 2015, the game reportedly has several million players, the vast majority of whom are young women. PapeGames, however, believed they could go further in developing otome-centred games. While popular in Japan since the 1990s, there was a gap in the market in China, and PapeGames, with more than a 90 percent female workforce, was well-placed to corner this market. In Love and Producer, gamers play the role of a 23-year-old girl who just inherited a media company from her late father and is trying to save it from bankruptcy. She meets four young men, who all have different qualities and superpowers, and they all intend to develop a relationship with her. The four virtual “boyfriends” are distinct in character and designed to be archetypes of a dream date for an otome. Bai Qi, the character so concerned about the real-world weather, is a tough police officer; Xu Mo is a brainy scientist and gentleman; Zhou Qiluo is a passionate superstar, and Li Zeyan is a cool businessman, but with a caring heart. Each has a catchphrase, like “I will not see you fall into danger. The wind will guide me to be with you.” Voiced by well-known and popular actors, the phrases seem corny, but the game developers knew exactly what would appeal to their target audience. Their efforts were rewarded. No sooner had Love and Producer been launched than fan groups for the four virtual suitors emerged, with the fans referring to themselves as “Mrs. Bai” or “Mrs. Li.” They even claimed to be in a “relationship” with the avatars. According to Jiguang, a third-party data provider, by January 7, 2018 Love and Producer had been downloaded around 7.1 million times. It had more than 2 million daily active users, of which 94.2 percent were female. Women younger than 24 accounted for 73.7 percent of the total. Given that women tend more to share and talk about the games they are playing, Love and Producer spread fast in the ACGN (animation, comics, games and novels) community. China’s biggest search engine Baidu showed that within just two weeks of its debut, the search index for Love and Producer had grown nearly 80 times longer. It was the effect that PapeGames intended. As the four virtual lovers are too perfect to be real, they tried every means to create a real-life atmosphere. “During the two years of development, we were always asking ourselves ‘what kind of love game would be popular among Chinese players, and finally, following rounds of trials and failures, we concluded that being close to life is the key,” one key developer of Love and Producer who would not reveal his name, told ChinaReport. PapeGames incorporated virtual text messages, phone calls from the four men and even a virtual WeChat account into the game. Players will receive messages or phone calls during special occasions from the characters. There are virtual news columns that combine real-world news with the game world. For example, when women worldwide were celebrating International Women’s Day on March 8, there was a post from Xu Mo, the virtual scientist, on the WeChat Moments feed that read he felt very glad to take the most beautiful photo of the game player on this special day. Zhang Yiping, a 26-year-old designer in Chengdu, capital of Sichuan Province agreed. She told ChinaReport that the inclusion of messages, phone calls and the virtual WeChat feed caught her eye. “Xu Mo is my favourite, because he’s the most flirtatious,” she said. “I feel happy when I talk with him. I like the feeling of being flirted with and he has satisfied my fantasy,” she added. During Chinese New Year, PapeGames partnered with Alibaba’s online shopping site Taobao. When a player input their favourite beau’s name in the search box, they received a video call back, with a promise to spend the festival with her. The mogul character Li Zeyan even urged the user to put more things in her shopping cart, saying he would pay for it. to their fantasy romance. Although free to download, to unlock different plots or scenes, players have to pay. Living on a budget, Zhang said she was reluctant to spend too much in the game. There are “lotteries” to gain higher level cards for the four lovers, with the odds of getting a high level card very low. Users can find themselves locked in a constant cycle of lotteries until they succeed. There are other virtual gift packs and items to buy, so players can complete a mission more quickly and easily, or stay longer in the game, once their free tries have been used. “I bought all the gift packs and a monthly card just in the first week, because I was keen to unlock the plots and collect more of Bai Qi’s cards,” Liu told ChinaReport. She is not alone. Most of the interviewees revealed to ChinaReport that they have spent amounts ranging from several hundreds to several thousands of yuan. Some users confessed on the bulletin boards that they had spent many thousands of yuan. These figures are bound to rise as PapeGames keeps releasing updates, as well as frequent “sales” promotions. Although PapeGames has not revealed how much it has made from Love and Producer, industrial analysts predicted that their first-month revenue could be anywhere from 50-100 million yuan (US$7.7-15.4m), a figure high enough to draw other game producers’ attention to the lucrative otome market. Media reports said an advert in that spot costs 120,000 yuan (US$18,462) for three minutes, and Li’s fans bought an hour, a total of 2.4 million yuan (US$369,000). While it is not known exactly who paid, the stunt drew a lot of media attention. Many could not conceive why people would spend so much money on virtual characters. They even labelled them as “freaks.” Players argued that it was the same as paying for movies or music, and many claimed online that they are willing to pay for a relationship with the four suitors just as girls are willing to spend on their boyfriends. The problem for PapeGames is that not all of its users are so devoted. 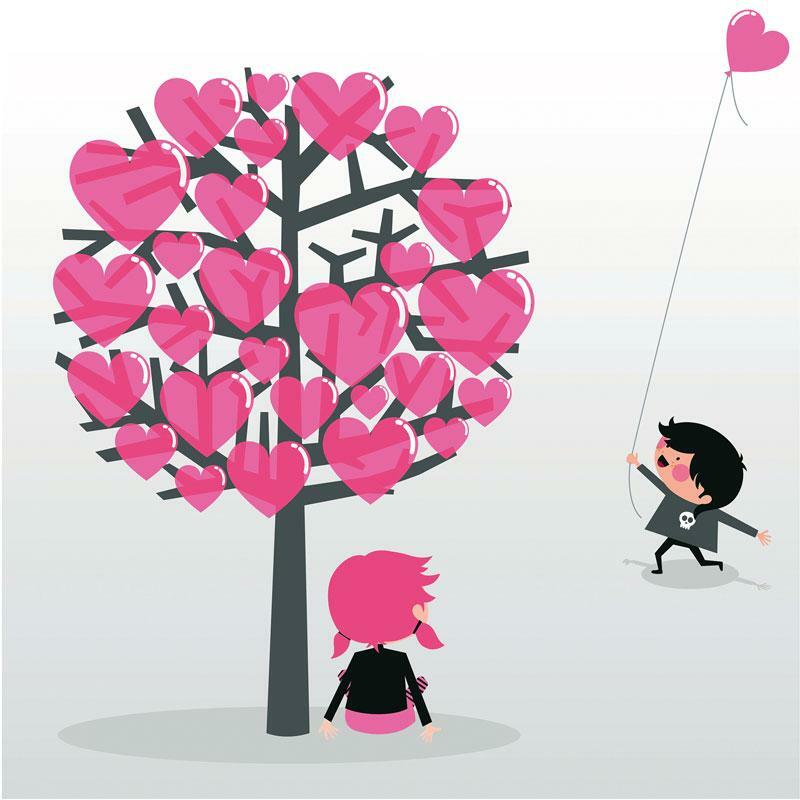 More are waking up from their romantic dream thanks to PapeGame’s intention to empty their non-virtual wallets. “I only spent 300 yuan (US$46) in the game, and I quit once I saw through its greed,” Huang Zixuan, a 27-year-old designer in Shanghai, told ChinaReport. Cao Xueling agreed. She spent nearly 1,000 yuan (US$154) before uninstalling the game. “PapeGames’s growing desire to make quick money has finally disgusted me,” she said. On the game’s bulletin board threads, more players are complaining about the growing cost, while the quality of game, they claim, is declining. The products they get are not as high quality as before, such as birthday cards sent on the virtual lovers’ birthdays. At TapTap, a popular Chinese game platform similar to the App Store, Love and Producer was only rated 5.7 out of 10. Many raters commented that the game focused too much on making money for the players to enjoy it. Recent data from Weibo, China’s Twitter-like platform, showed the popularity index of Love and Producer has plunged since it peaked during Chinese New Year, when the country is on a week-long holiday. Ironically, it may be PapeGames that shot itself in the foot after it posted an advertising video that fans slammed for humiliating them, depicting them as women who would fight over their virtual boyfriends or who would show them off as if they were real. On Zhihu, a Chinese question-and-answer site, one user railed against the video. “PapeGames is libelling the players by imagining women are attempting to fill their emptiness inside with virtual people. Are you pleased that you have seen through the players? Wrong! Do not assume that we will truly be with a virtual person forever,” the post said. “Your game is not the sole option... Even though the gaming market for otomes has not yet fully opened, we can even turn to men’s games,” it added. The criticism was widely echoed by many other players. One top-ranked player renamed herself: “A company that drives players away.” Stung by the fierce criticism, PapeGames posted an apology and pulled the video. They introduced a new feature where players could choose their favourite man to talk with them if they could not fall asleep. But these efforts seem to have had little effect. “The decline is inevitable. I think Love and Producer’s story is increasingly dull and its gaming functions haven’t changed. People will get tired of it when those fresh things are no longer fresh,” Cao said. “Players have to act as the same virtual girl, so they’ll have less empathy [for the character] as the story goes on. When the game asks me to make decisions for the virtual character, I often found that none of the choices appealed to me,” she continued. “Another good example is that players are often ‘forced’ to date all of the four men for the needs of the plots, but most players only like one of them... I definitely did not want to date Bai Qi on Valentine’s Day,” she added. Huang Zixuan agreed. She told ChinaReport that she now prefers to appreciate Love and Producer fan art posted online, which she thinks is more interesting, and more importantly, free of charge. PapeGames has obviously noticed the decline and is trying hard to make changes. Besides launching updates or online activities, they are now cooperating with real-world brands such as Pizza Hut and Dove to launch more appealing promotions, and is planning to extend it into other mediums, including a Love and Producer TV show, with the four virtual men played by popular stars. The game players, however, are not as tolerant of a TV series as they are of the fan art. “I can’t image my favourite man becoming a real person. Actually, I hate moving the two-dimensional world to reality,” Huang said. PapeGames seems to be caught in the same trap as it was with Miracle Nikki: players are tiring of the game too quickly, and the designers are struggling to catch up. Can the company, a pioneer in otome games in China, find a creative answer?